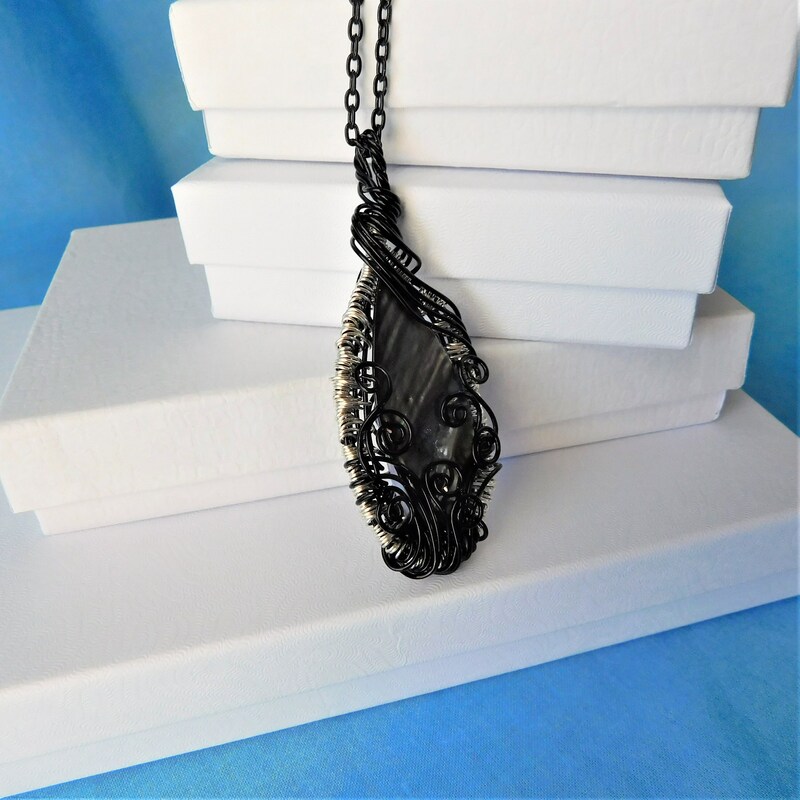 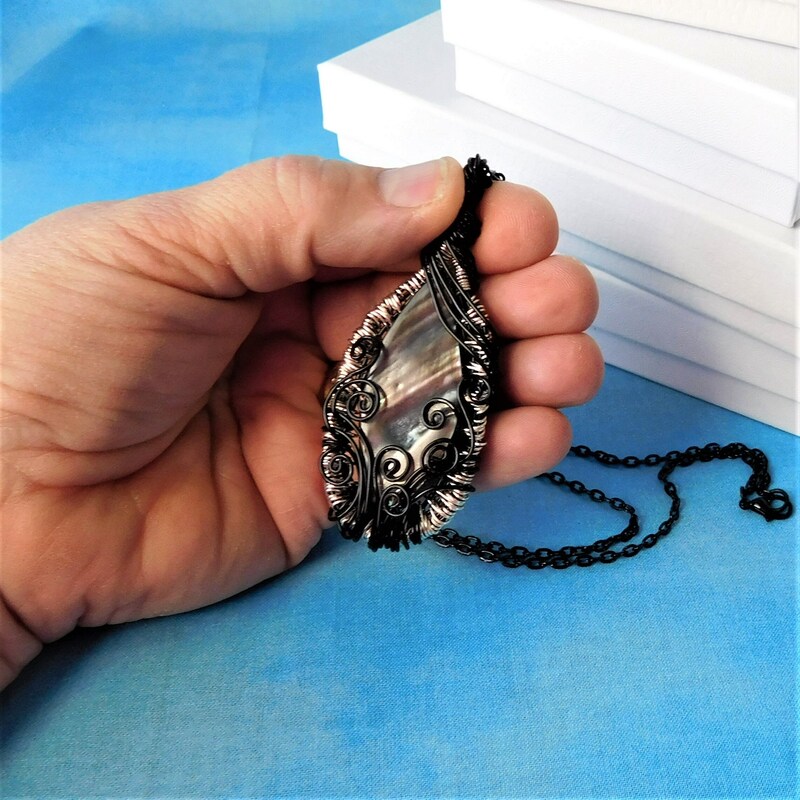 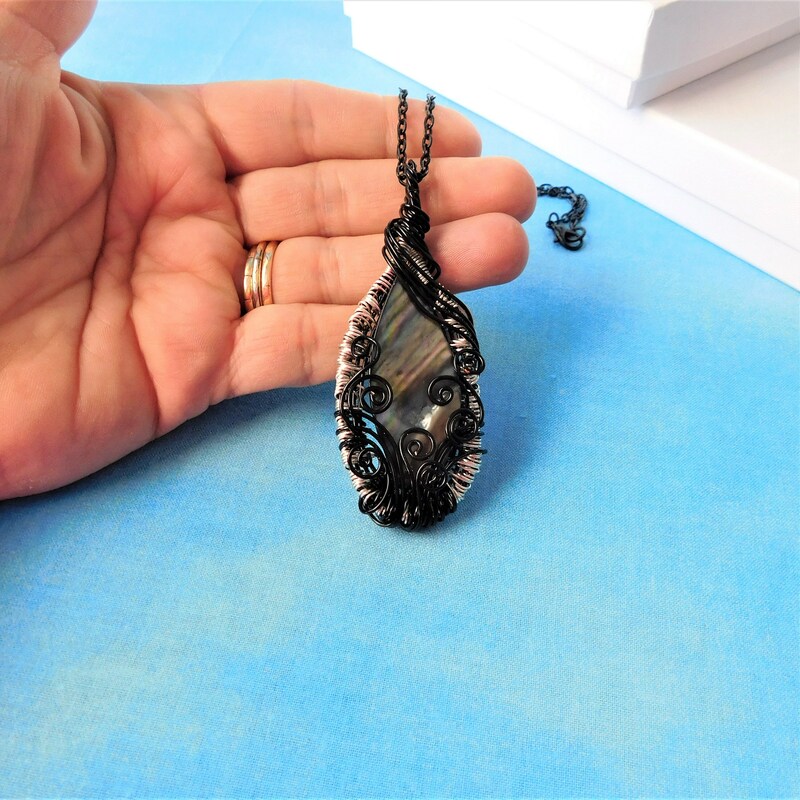 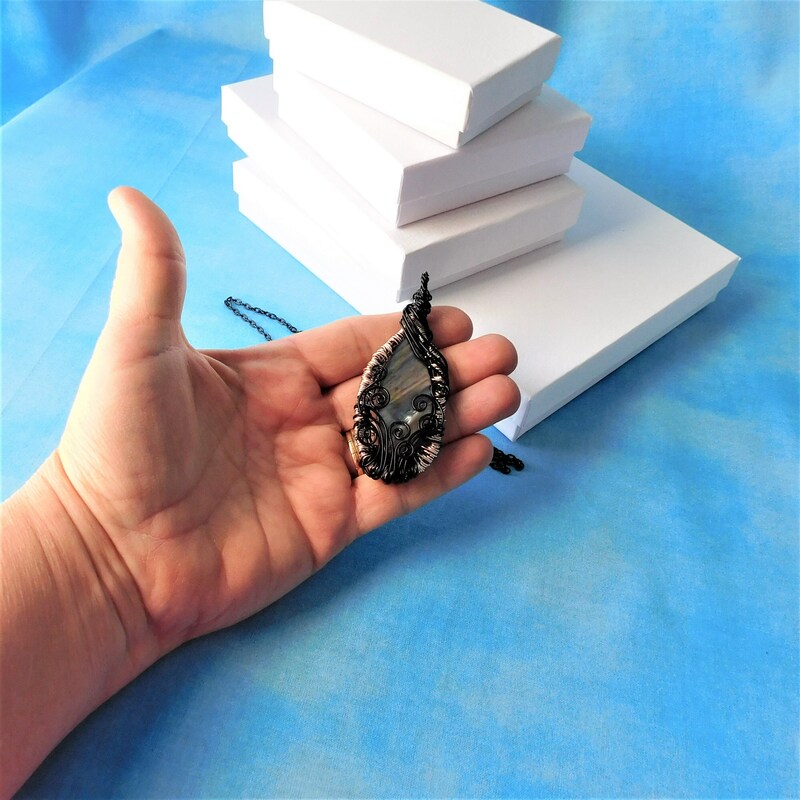 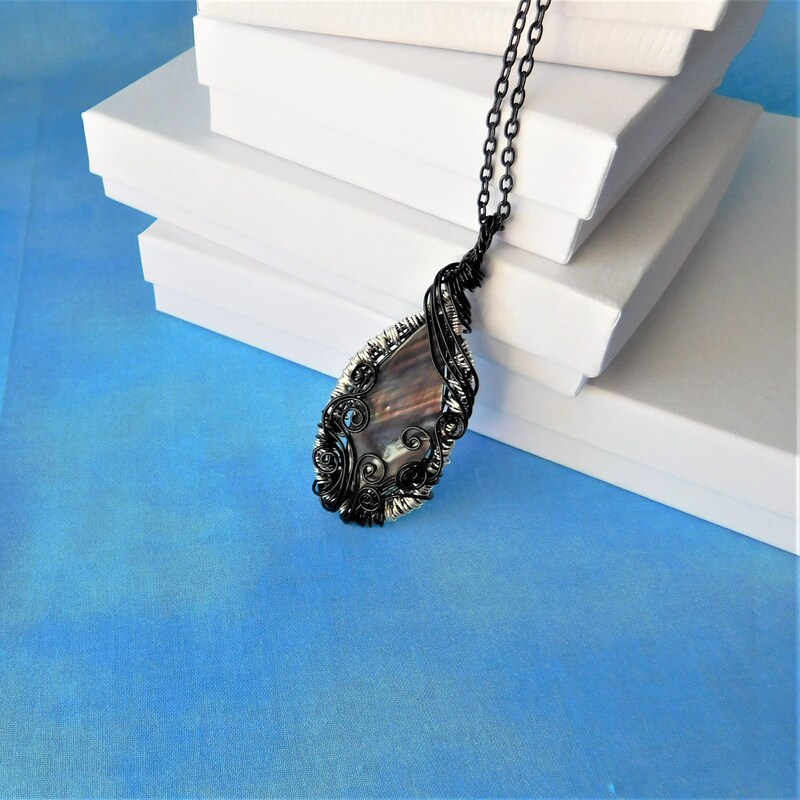 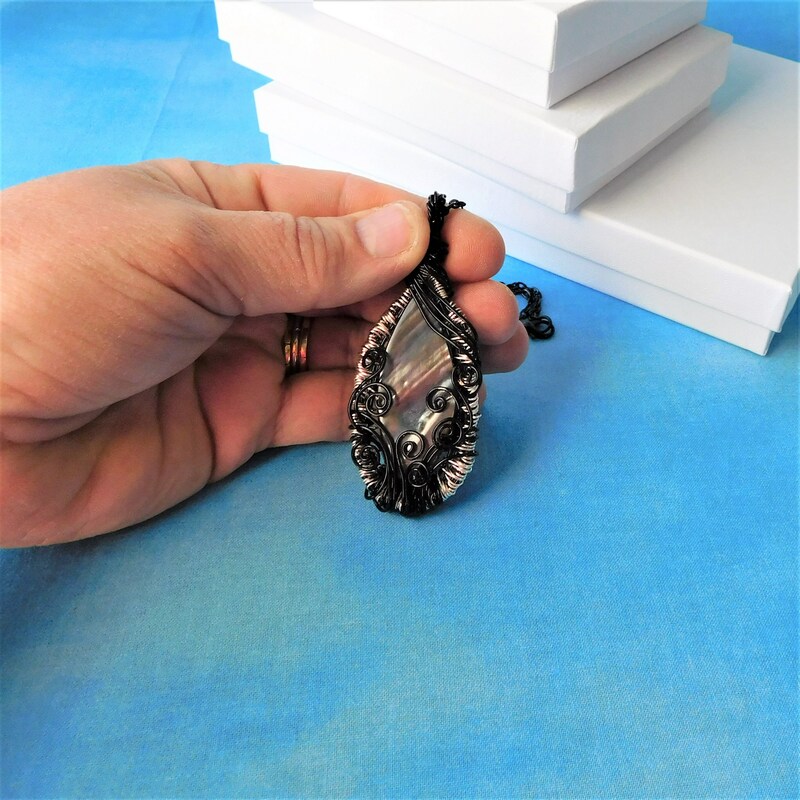 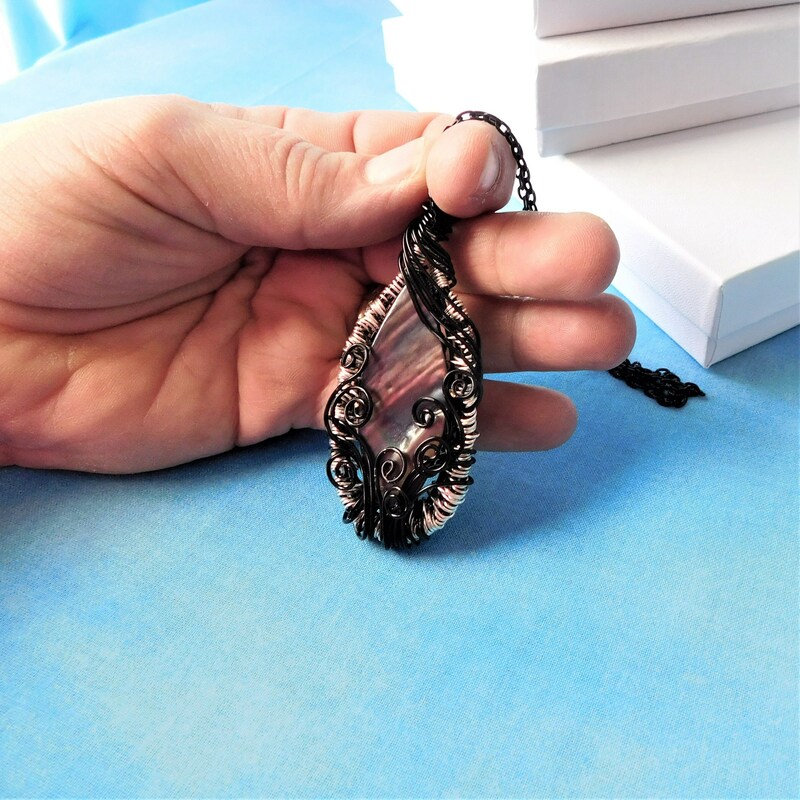 A 2 1/2 inch by 1 1/4 inch black lip shell is framed in meticulously hand woven wire and artistically wrapped in black and silver colored copper wire, in a sculpted pattern creating an interesting, lacy, artistic design. 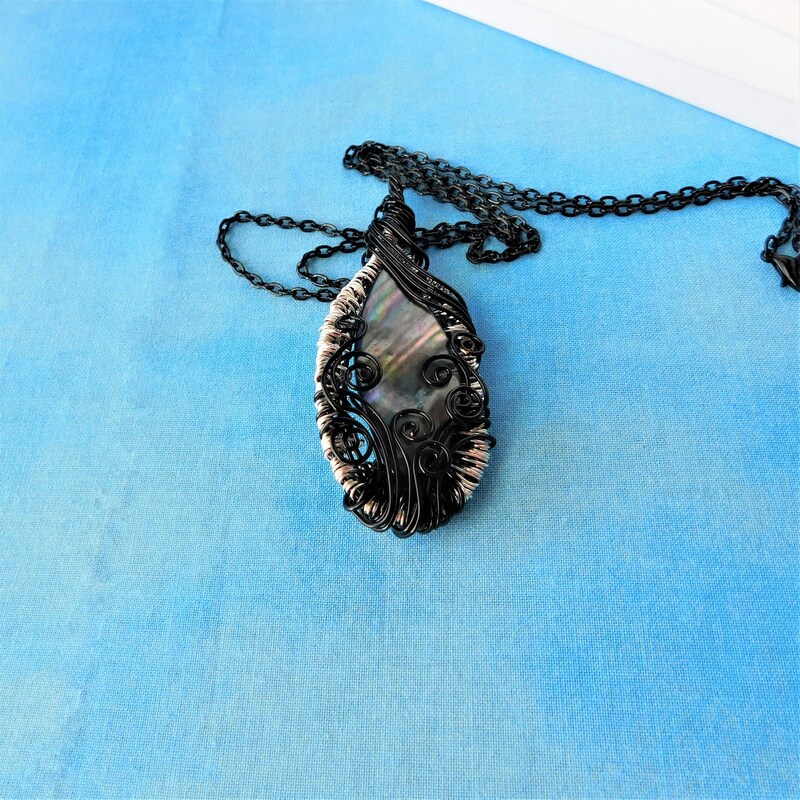 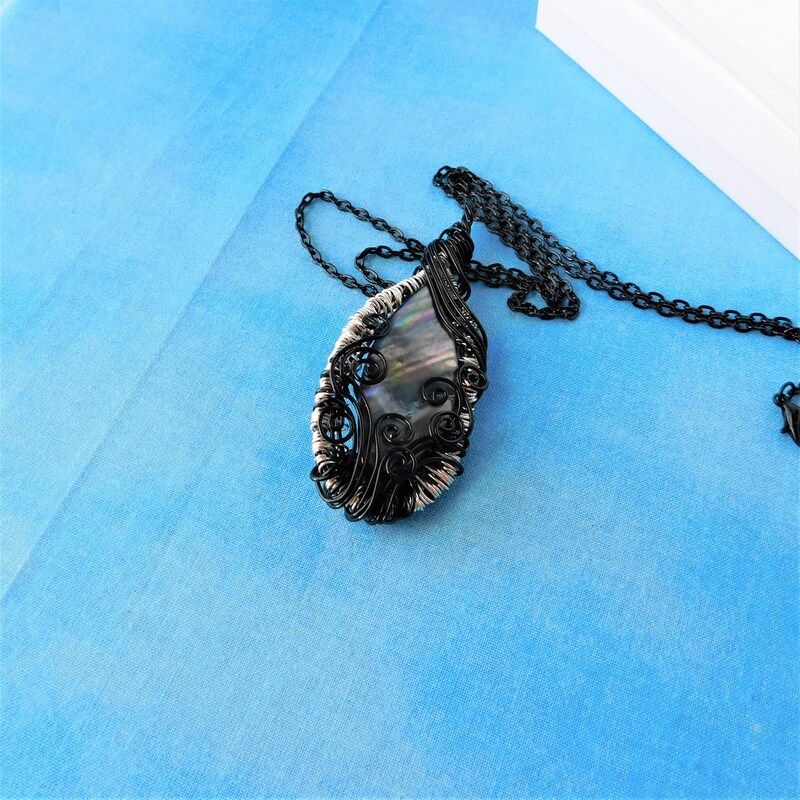 The black lip shell has iridescent flashes and undertones of gray, blue, green, yellow, and even a little pink. 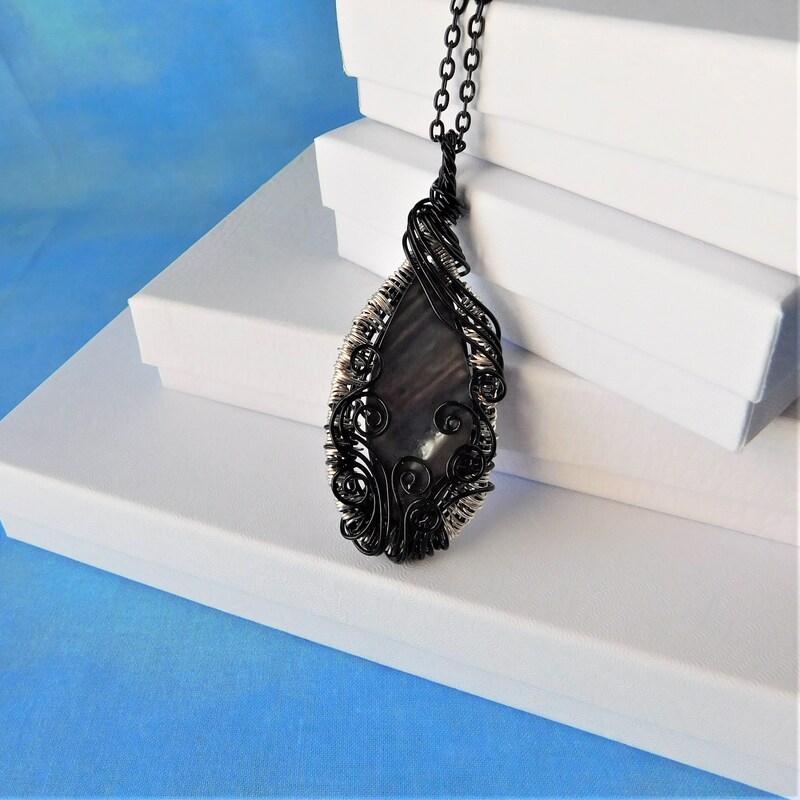 It is an interesting focal point that adds subtle shine to any wardrobe choice.